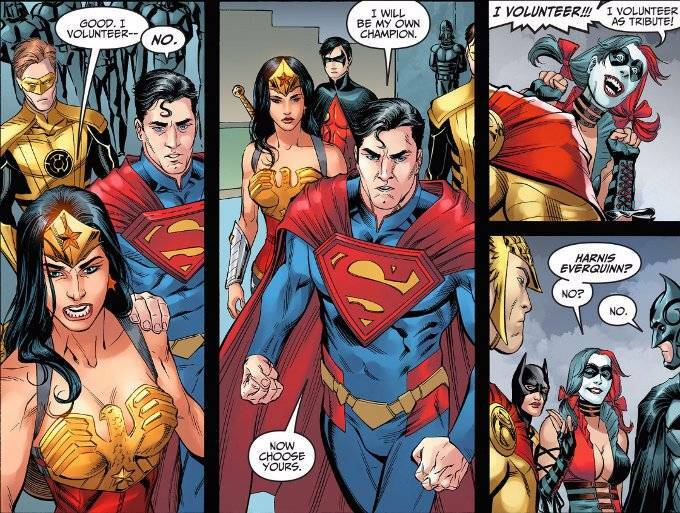 Injustice: Year Four #7 is made up of a number of vignettes, showcasing earlier scenes that were cut short before the stand-off between Superman's Regime and the Amazon armies started. The issue concludes with a fateful choice, as The Gods agree to let the matter be settled by a trial by combat rather than all out war. Brian Buccellato is in his element here. These brief scenes offer a fair bit of exposition but they also offer some surprising glances into the souls of our cast. 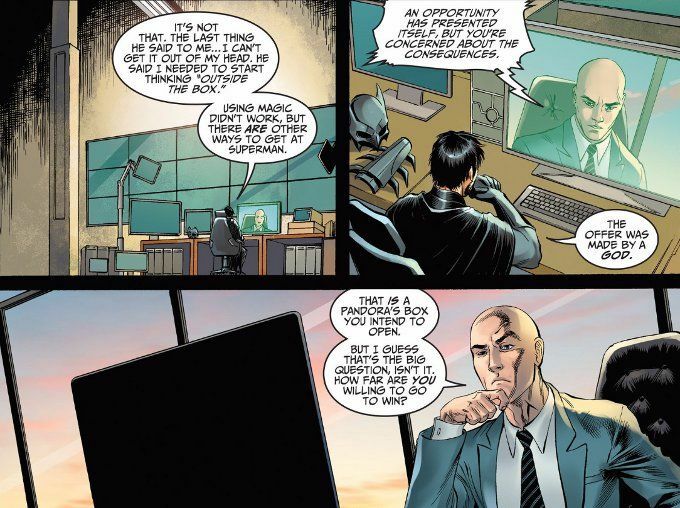 Lex Luthor, in particular, gets a much-needed defining moment. And, as always, Harley being Harley proves a welcome humorous catharsis who clears the plate just before things become truly serious. The artwork is equally excellent. Mike S. Miller turns in his usual wonderful work this week. And the colors by J. Nanjan prove lively and exciting. Even the lettering by Wes Abbott is of notable quality!